Recently built my very own first PC and when using the update live on the Asrock shop there appear to be several updates, so I select all and after several restarts it says all updated but when I go back to update live, the same updates are still there. Regarding your case, could you provide the screenshot for us to clarify? Also, which motherboard are you using? Not sure if I posted the screenshot correctly. We have fixed the AppShop?�s the latest driver version. Please follow the following link to post the picture on ASRock Forum. Sadly the problem still isn't fixed, nothings changed at all from my end. Regarding your picture, it seems the App Shop doesn?�t get the current driver version. Please run the App Shop as administrator to try. Also, please check the driver version at device manager. I tried running it as administrator, made no difference. 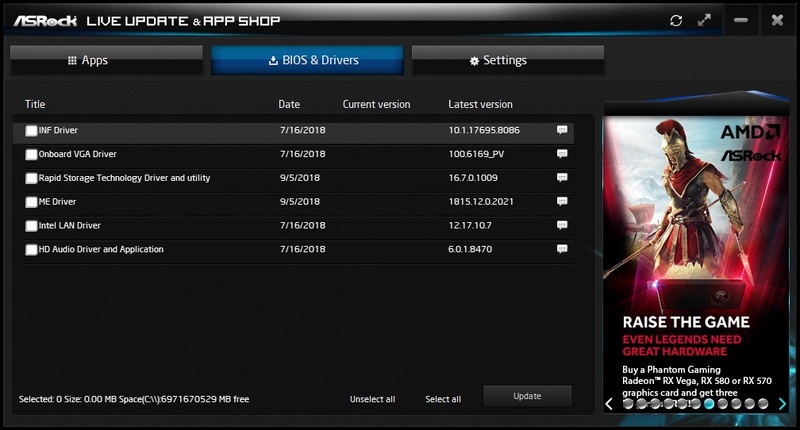 I checked the driver versions in device manager and they are all the latest versions, hence why I don't understand why they remain as 'updates' in ASRock Shop?